I was almost finished writing my blog about plane rides. Yes, these three blog posts started out as one, but because of the way I write, you get three. You see I write in fits and starts. I write a little and then put away the writing for another time maybe a few hours, maybe a few days. I edit, rewrite and write some more in different sittings. This is how I also prepare sermons. I put the final line on the blog post . . . “I am westafricabound.” Then, I met another Grace. 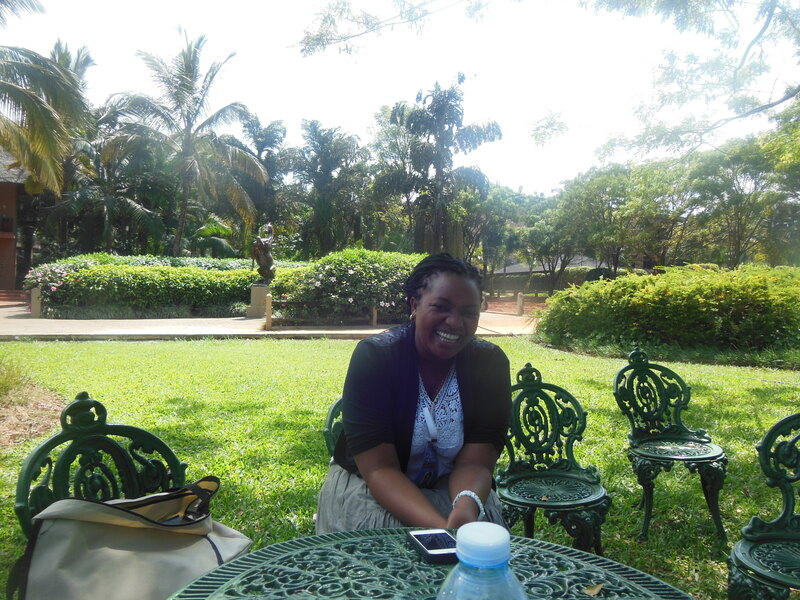 Grace sat down with me and Dorothea from Canada as we sat under a tree taking a break from workshops and crowds. A lively conversation ensued. This Grace is a beautiful 33-year-old married mother of a three-year old from Kenya. 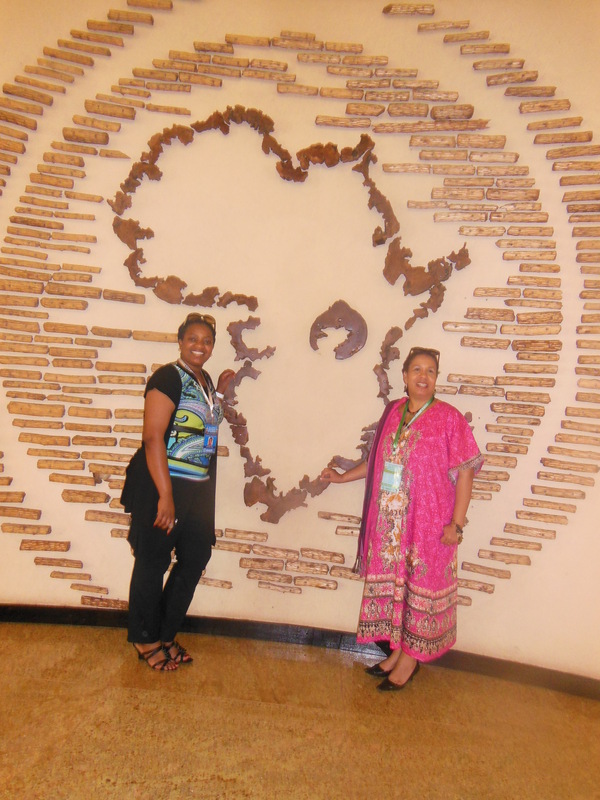 She is here at the All Africa Conference of Churches as a delegate for her church–the Coptic Church. She is married to a Coptic priest and works for the Coptic Hope Center in Kenya as a human resource person. As Dorothea left, we continued talking. We had just come out of the workshop about “Gender Based Violence;” so, we started talking about that topic. In the workshop, the issue of the churches’ perpetuation of gender based violence came up, but of course that is a topic no one wants to talk about. We very readily talk about the huge, overwhelming acts of gender based violence that we see in war-torn countries and in news worthy catastrophic acts. Yet, Grace and I talked about the everyday incidences of gender based violence. We talked about those incidences that occur in the home, in the work place and yes, even in the church. We shared stories of the incidence that we had read about and witnessed of unhealthy ways that the church deals with gender based violence and inappropriate behavior. It happens in the Coptic Church and in the Lutheran Church. We talked and I told her “thank you” for sitting down with me. She had been a sort of answer to my prayers. I had asked God to give me a clearer picture and understanding of my new role as I travel the continent of Africa. I did not get that, but it cannot be a coincidence that doing this job I have already met three Graces. All I can say is thank you God and look for other grace filled moments as I am westafricabound. Previous Grace Two: On My Way to AACC Next What do you do? And other interesting questions.